Air plants and succulents are hot. White hot. 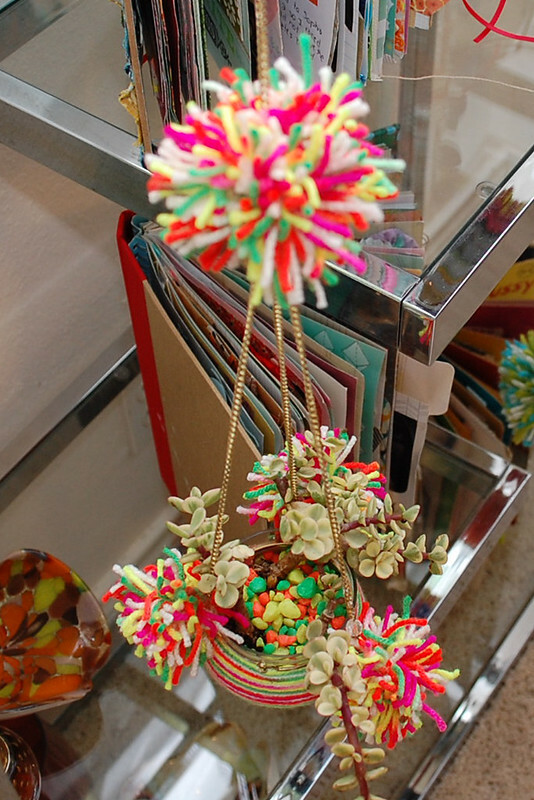 A quick glance through Pinterest and you are sure to spot a cluster of hanging glass globes with a wee little plant inside. I too love the trend. So much so that I decided to customize my planters. 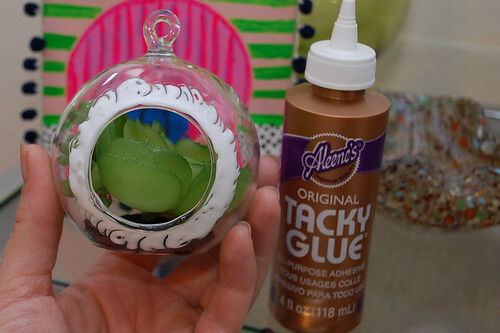 Bust out the yarn and Tacky Glue and let's get started. First you want to select your vessel. This little orb is from Target and has a fake succulent attached inside. Typically if you were going to use a real plant you would adorn your vessel first and then do your planting after. However, since this plastic plant is not going anywhere it is safe to start wrapping. 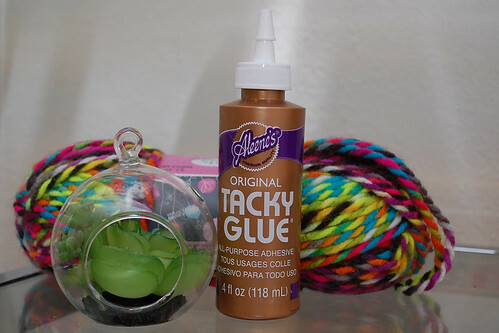 Spread some Tacky Glue where you would like your yarn to go. Feel free to wrap as much or as little of your planter as you want. I like to be able to see a little the plant and some of the colorful aquarium gravel. 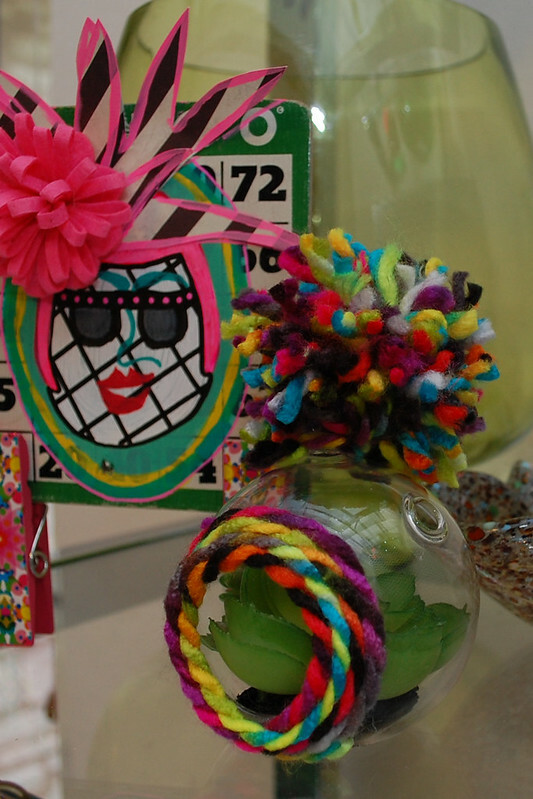 Everything is better with yarn pompoms. 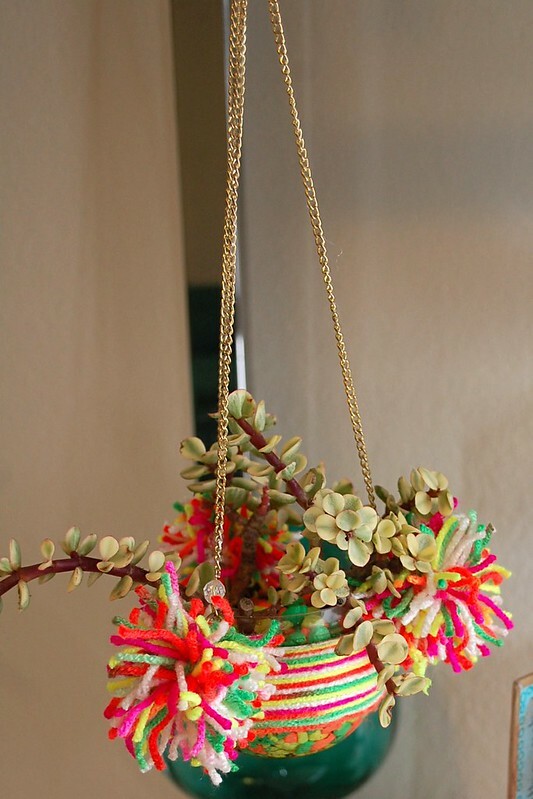 Succulent planters are no exception to this hard and fast rule. 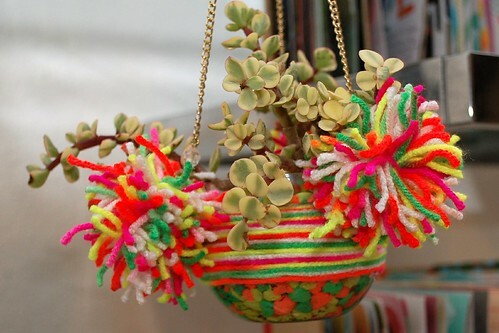 Attach your pompoms with Tacky Glue. Display your plants somewhere sunny and water like you would any other plant (or not at all if it is plastic). 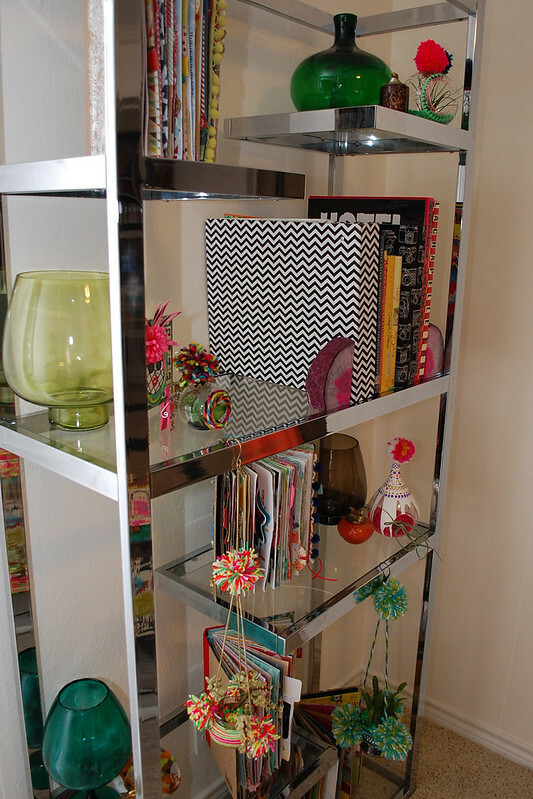 Be sure to check out my blog for more crafty fun!